Home / Blog / HowTos / Beautiful Ecommerce Landing Page Design. What Do We Need To Make One? Beautiful Ecommerce Landing Page Design. What Do We Need To Make One? What Can Be Called Effective Landing Page? Let’s start with the basics.What is actually landing page? Landing page is a name in online marketing for a single web page that appears in response to clicking on a search engine optimized search result of an online advertisement. That’s how wikipedia says. Simply saying, landing page is a single page, where you can promote your products or services without having heavy websites. Firstly, they were used by Microsoft in late 2003, to increase sales of the Office suit. But the true power of landing pages was revealed around 2009 with the rise of eCommerce (which is often based on Magento 2 development) and cloud computing. We bet that at least once you hit on effective landing page. Why is it called effective sales page design? Because everything there, from design to texts, tells you to buy the product or services. And you want to. Don’t deny it :) Because it was made not only with the knowledge of correct lead generation, but in the right design and style by talented eCommerce landing page designer. Design is as important as style, in some cases even more important. For instance, you’ve entered landing page with the right thought but the design, especially colors are… rip out the eye. But we won’t make fun of you and show you the landing page best design. And some 6 essential elements of an effective landing page. Logical Flow and a Guarantees! Ecommerce landing page design. What Is The Difference? Ecommerce or electronic commerce is the process of buying and selling goods and services through the internet. Oh, we are kidding, you, fellas know what it is for sure. (The sentence was written for dinosaurs). In particular, they are made to sell you something. Effective landing page in the field must contain all the necessary functions that will lead customers to the right actions. And we know what is the most important action for our customers, right? ;) So, you need to have landing page best design to encourage your customers. The main question remains unsolved – what do we need to create beautiful eCommerce landing page design? According to The Forbes, there are five main eCommerce platforms: Shopify, Volusion, BigCommerce, Magento and WooCommerce. But the choice is up to you. Everyone of the list has it’s own pros and cons. But one thing is to have landing page for eCommerce, and other is to create one. It can take a lot of time, doesn’t it? Especially when you desire something from the “To sell online but with style” column, made by awwwards.com. Isn’t that Jennifer Lawrence on one of the eCommerce websites? Looks very similar. 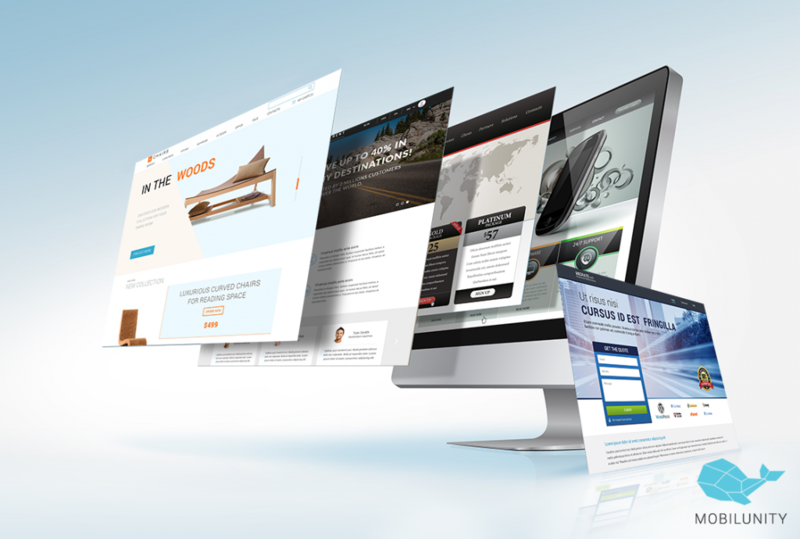 Furthermore, we will show you how to choose the best landing page design services you need! But the point is – we can create beautiful landing page for eCommerce without any doubts. We are also ready to provide you with the best dedicated eCommerce development team. And as fast as you need :) Don’t believe us? Give it a try. Have Questions About eCommerce Landing Page Design? Leave your comment below and we will contact you.